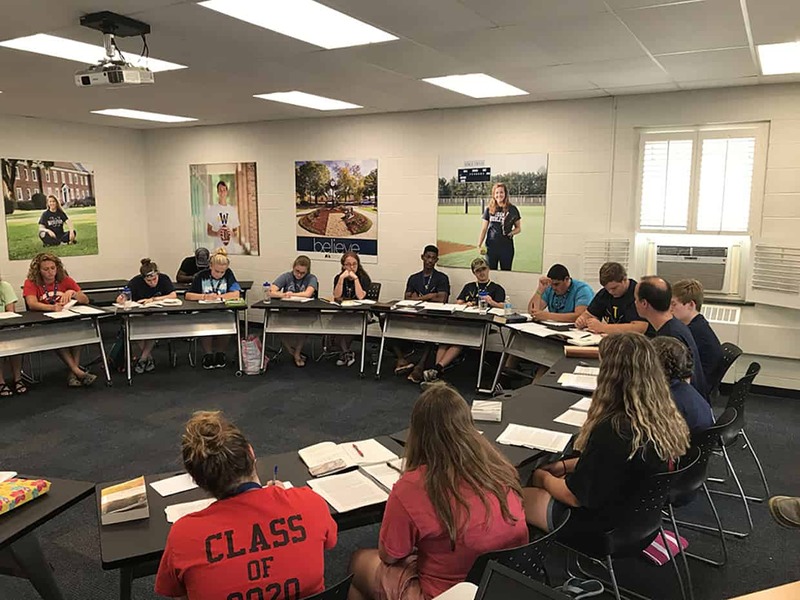 As a participant in the NC Wesleyan Youth Theology Institute, youth will engage in a week-long summer program to deepen their faith journey and equip themselves with the tools needed to discern and answer God’s call in their lives. Students will be able to see how ministry works on a daily basis. The Institute partners with local congregations and mission organizations of varying sizes and styles to show an assortment of vocational settings in which students can serve. They will also spend time daily working on spiritual formation and discernment through journaling, devotionals, contemplation, prayer, small group exercises, and other opportunities to draw closer to God. The Institute is open to rising tenth, eleventh, and twelfth grade high school students. Following their week-long experience, students will be placed with a mentor who will continue to help guide their discernment process throughout the rest of the year. We hope students experience spiritual growth, develop an understanding of ministry and missions, and gain the tools to discern their calling.